We live in the developed, computerised world. People are striving for professional success and personal growth with the help of modern technologies. Currently, the revolutionary innovations that have occurred in the field of computers and the internet have changed the entire generation even more than the press, radio, television and the internal combustion engines. The usage of computer technologies is considered to be an integral part of modern life, especially among pupils and students. The popularity of their active usage in the learning process is currently growing. The reason is that they are usually a simplified, clearer and more accessible way of obtaining and processing information. When you have a lot of written assignments, proofreading and editing all of the content manually is a daunting task. In this case, you need a tool that will help you to find misprints, grammar and spelling errors. One of the most effective tools in editing and proofreading is Grammarly. What distinguishes it from others? This tool works with a number of programs including Microsoft Word and most internet browsers. Just download it, install and start using! When you are using a series of sources for research or inspiration, you can accidentally copy their work. Copyscape helps to detect plagiarism; it shows what pieces of the text are plagiarised so you can rewrite or cite them in the proper manner. Moreover, you can add several of your own articles and compare them with each other. There are a lot of writing services such as this one, that help students polish up their writing work. They can even ask a real professional for editing and proofreading, but it is essential to pay attention to the quality of such services. When ordering an editor, make sure that he/she is qualified and will deliver the work on time. You probably know that information is often best perceived through visual and auditory channels. That is why this video hosting site is one of the main helpers in effective learning. Just type «How to do…» and YouTube will find you thousands of videos with short instructions. Furthermore, you can create and share your own video content. Many educators earn money by creating educational videos. This is a key tool for creating personal presentations. How many times have you had the task to make a slideshow on a certain topic? PowerPoint makes it quick and easy to do – it also looks great. Visualisation helps to structure information, show graphics with research results and emphasise key points. In summary, there are many more tools that will help you in learning, but these 5 are a great start. It all depends on your needs, but I am positive they will all help in some way. Written by Malorie Grebetr. Click here to email the author. Previous You HAVE To Try Black-Out Poetry. Next Character metaphors – an online resource. Neil, I agree with your guest author, Malorie. Technologies changed the ways and the pace of gaining new knowledge. Now young people have to learn faster. That’s why educational tools come in handy. 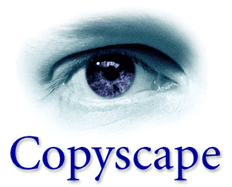 I’m pleased to find Copyscape on the list of useful tools. Once I used it, but then I found Unplag https://unplag.com. As for me, it’s much more suited for the needs of teachers and education professionals.